The mother apologised for approaching the unidentified TD. A JUDGE HAS ruled that it was “entirely improper” that a mother contacted a Dáil deputy in relation to an ongoing court case. The judgment by High Court Judge Mr Justice Henry Abbott was in relation to a family law case during which a Circuit Court judge approached him about the case on behalf of the mother. He told the judge, named earlier this week as Desmond Hogan, that ”a judgment would issue on the web in due course in relation to the matter”. It followed the request of an unidentified TD, who had been contacted by the mother involved in the case and had been asked to make inquiries for her. The mother apologised for the approaching the Dáil deputy, saying that it was due to her being unrepresented at the time. Mr Justice Abbott added that he indicted to the parties involved in the trial that he didn’t intend to step down from proceedings “as other judges might have done in the circumstances”. The trial continued and the parties authorised him to the speak to the child involved, which he says indicated consensus that he should continue to act in the case. The President of the High Court and Circuit Court said earlier this week that the conversation had “no effect” on rulings. In a joint statement, they acknowledged that the incident “should not have happened”. Email “'Entirely improper' for mother to contact TD, says judge”. 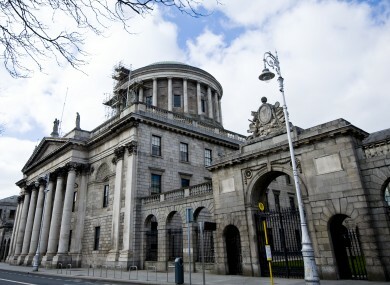 Feedback on “'Entirely improper' for mother to contact TD, says judge”.